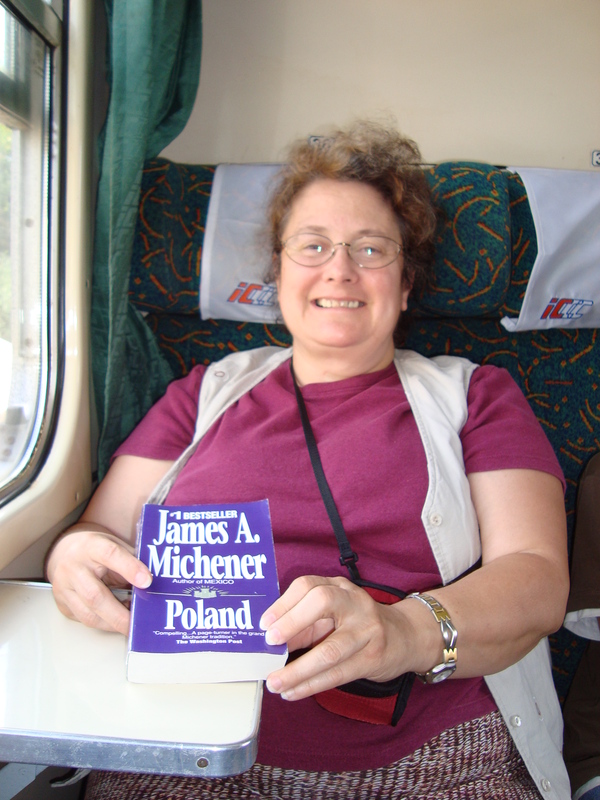 On Thursday morning we left Warsaw and got the train headed to Poznan, a large city where Ian has spent some time. We had English friends to visit there as well as Polish friends. This picture shows nicely “the train phenomenon”! There are basically three kinds of trains in Poland: slow, medium and fast. But regardless of what kind of train you are taking, you have a ticket and you may or may not have a seat assignment. If you are assigned a seat in a compartment aboard a train, you don’t know where your carriage is going to be until the train pulls in and starts to slow down. I’m told you have about 4 minutes to get your body and luggage on the train (and believe me, these trains run on time, to the minute!). So….there is a mad scramble of people going every which way to get to the proper spot. At first I thought Ian was being a little over aggressive, but…..you don’t have much time! 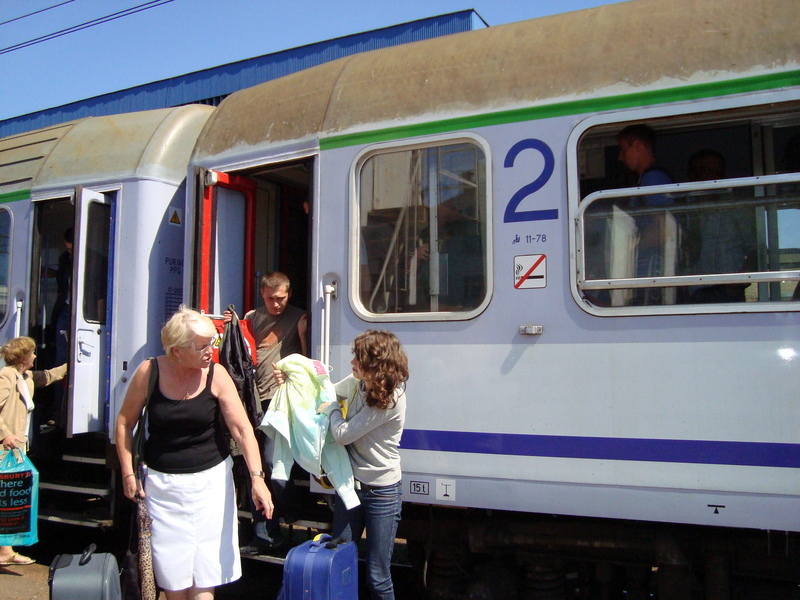 Riding trains in Poland is quite fun, and a very social and cultural experience. Our train to Poznan was a medium fast train, having nothing to do really with its speed, but meaning it stops at fewer stations than a slow train. These usually have compartment seating and Ian and I found ourselves with four strangers to begin each trip. On this day there was a mix up about the assigned seats and two girls had to sit outside the compartment, but they were cheery and even shared their cheese puffs with everyone. Then, after a while, more food came out, as there is no food service on these trains. Sandwiches, fruit, bottles of juice and water, chips, rolls, it was like a picnic. People started visiting more, and by the time we left for our station, every one was telling us good bye and felt like a friend! 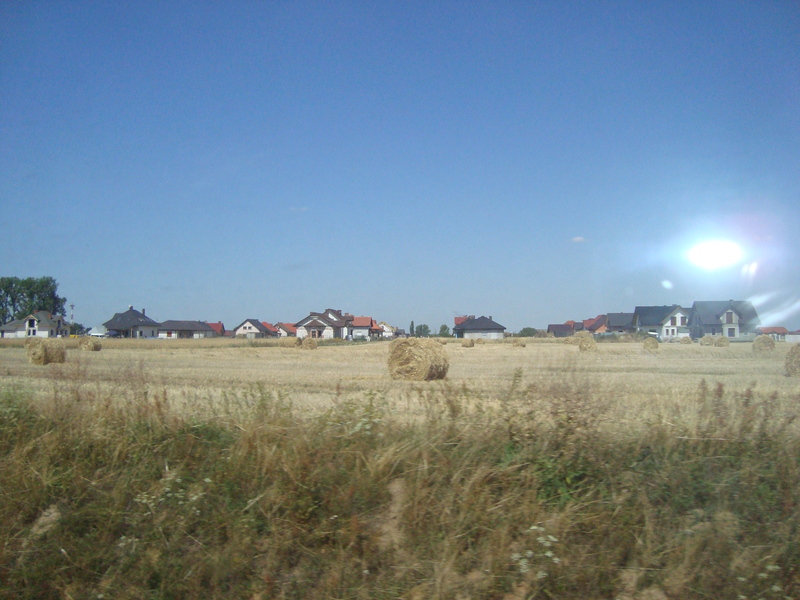 We passed through small towns with small train stations and saw a lot of wheat straw being baled. There was a little corn, some fields of cabbage, but no soybeans! Since I have been an ag person, I’ll probably post more about Polish agriculture later, but I found it very interesting and would love to go back to learn more! 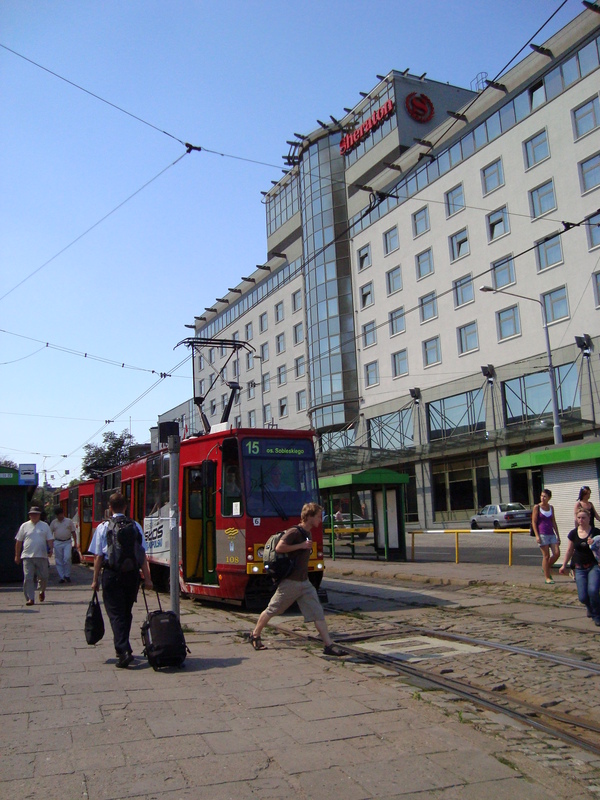 When we arrived in Poznan, we climbed a few flights of stairs to get to street level and caught a tram out to our English friends. From what I could tell, these boys on the tram are typical Polish teenagers, very polite….have I mentioned I loved Poland! This shows the overall complex where our English friends live. 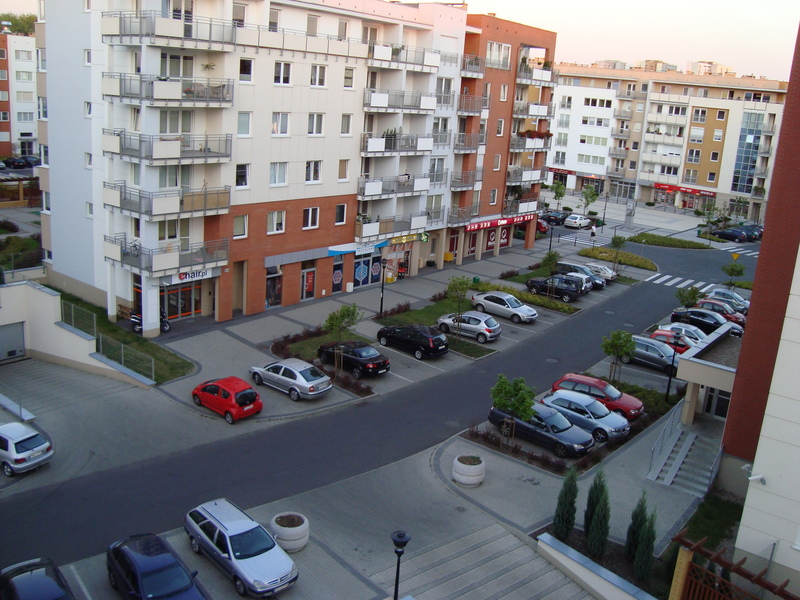 It’s really mixed use development, the way it should be! 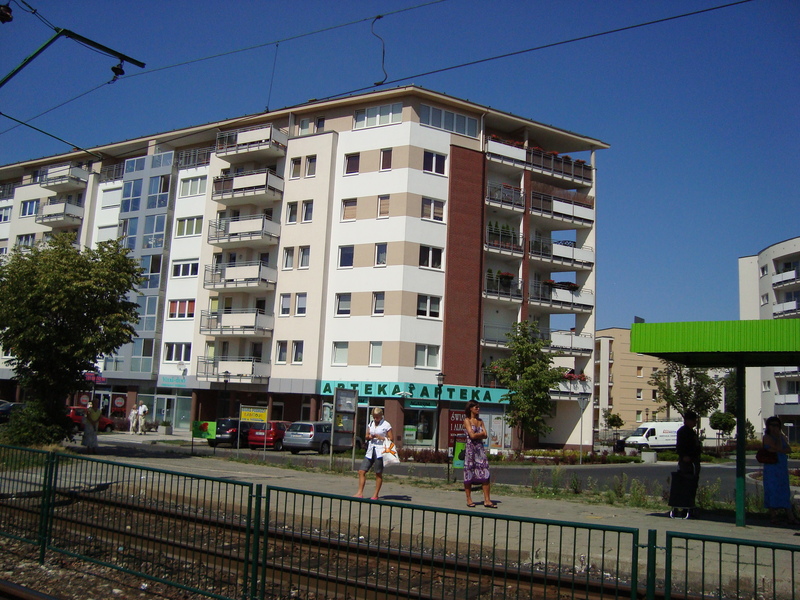 One can find a variety of things in the shops below the housing: fresh bread, restaurants, offices, salons, businesses. It is a thriving place, even though it is only a few years old. Loran and Mr. P had a wonderful hot meal waiting for us (Mrs. P was back in England for a few days, but it was just like she would have fixed it!) 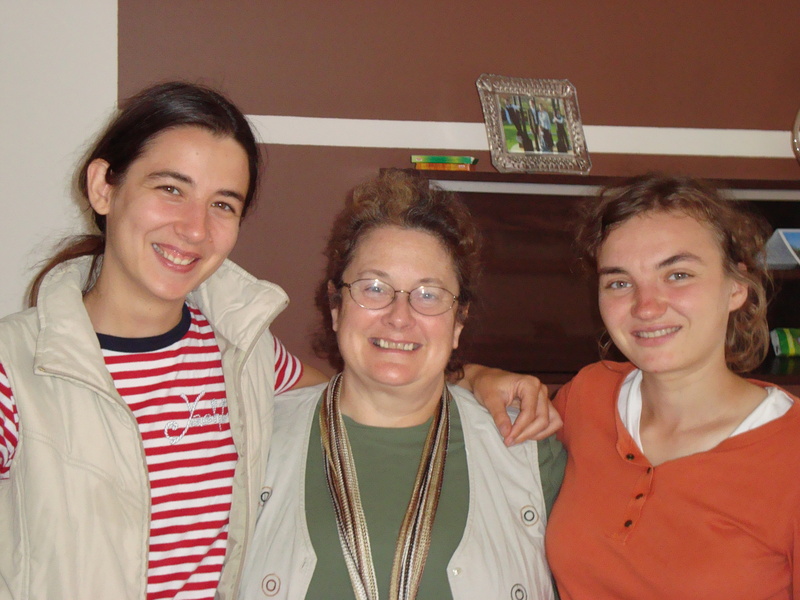 when we arrived and then we spent a nice evening with some wonderful Polish friends! I’d seen pictures of all these people before, but it was so much better actually being there with them! 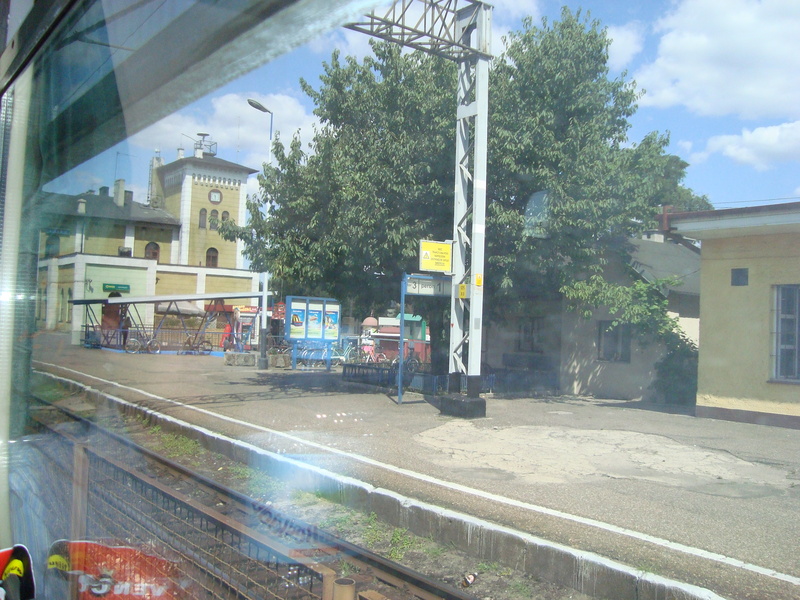 Tomorrow I’ll post more from the P’s apartment and our eventful train trip to Ostrow! That’s one thing I think we’ve done wrong in this country. Getting away from travelling by train. Maybe with gas prices higher, it will come back?